In a case of first impression, the Pennsylvania Superior Court held that Pennsylvania’s 1994 Limited Liability Company Law imposes a fiduciary duty upon majority members as to the minority members. Prior to this decision, the duties majority members of a LLC owed to minority members were unclear; particularly under the 1994 version of the law which is now replaced by its 2016 counterpart that expressly imposes the duty of good faith and fair dealing on all LLC members. In Retina Associates of Greater Philadelphia LTD, et al. v. Retinovitreous Associates, LTD. d/b/a Mid Atlantic Retina, et al., Retina Associates of Greater Philadelphia and its two physician/owners sued Mid-Atlantic Retina and its physician/owners in a dispute relating to a LLC through which the physicians provided retina services at Wills Eye Hospital. 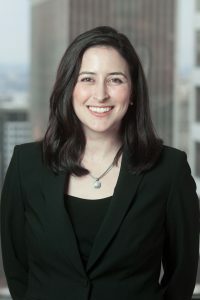 The plaintiffs contended that the defendants breached a fiduciary owed to the plaintiffs when the defendants agreed among themselves to transfer the assets of the LLC, including valuable contracts with Wills Eye Hospital, to their private retina practice and to the exclusion of the plaintiffs. The trial court dismissed the case after siding with the defendants who argued that members of an LLC do not owe any fiduciary duty to other members. The plaintiffs appealed arguing that, as in the case of closely held corporations, when members of an LLC combine to form a majority, they owe a fiduciary duty not to exclude the minority members from their rightful participation in the business of the LLC. The Superior Court held that when the majority voted to sell all of the assets of the business to another entity they controlled and to the exclusion of the two minority members, such conduct was actionable and unlawful. The Superior Court reviewed the language of Pennsylvania’s 1994 LLC law which governed the case. In interpreting the 1994 law, the Court looked to analogous corporate law noting in similar situations the courts have agreed that majority shareholders of a corporation owe a fiduciary duty to the minority. Additionally, the Court found that courts in several other jurisdictions had rendered similar holdings. 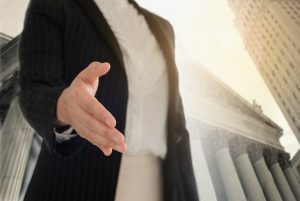 The Court also rejected the defendants’ argument that the members of an LLC should be “deemed” to be like limited partners in a limited partnership. The court found the analogy not applicable to the facts in this case, where the majority members affirmatively acted in a collective manner and were not merely passive bystanders. The case is remanded for a determination of the individual liability of the defendants and a determination of damages. In the meantime, the decision clarifies that those obligations of LLC members, making clear that they mirror those of the owners of closely held corporations and partnerships. For more construction law articles, please visit the OnKonstruction Blog. As a construction and real estate attorney, Ms. Corbett negotiates contracts, analyzes and advises clients on all types of business matters, litigates contract claims.